Thomas Newcomen was a prominent British engineer, best known for inventing the atmospheric steam engine, the world’s oldest known steam engine for pumping water. The first operational Newcomen engine was built in 1712 at the Coneygree Coal Works near Dudley Castle, Staffordshire. The Newcomen engine largely influenced later designs such as James Watt’s engine. Born in Dartmouth, Devon, England, in February 1664, Thomas Newcomen was born into a merchant family. His father was Elias Newcomen a merchant and ship-owner; his mother, Sarah, died when he was an infant and his father married Alice Trenhale who raised Thomas. As a youth he served an engineering apprenticeship and in 1685 he began working as an ironmonger at Dartmouth. In his business, Newcomen forged connections with the tin mine owners in Cornwall who faced the difficulty of removing water from their ever deepening mines, to keep them dry and workable. Traditional methods using horses and buckets or manual pumping were labor intensive, slow and expensive. 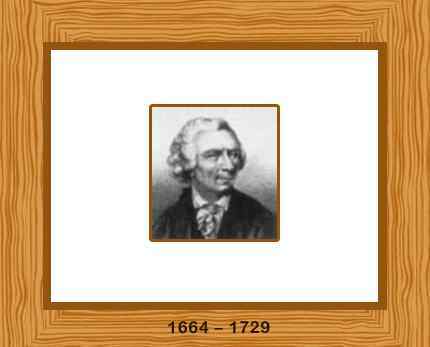 In 1699 Thomas Savery was granted a patent for a pump which relied on a vacuum to raise water up. Newcomen was also interested in developing a pump. With the help of a plumber, John Calley, they extensively worked on a steam pump, which was found to be much more effective than Thomas Savery’s crude pump. In this design, a vacuum was created inside a cylinder which was used to push down a piston. The vacuum was formed by filling the cylinder with steam from a boiler and then condensing it rapidly with an injection of cold water. A lever was then used to transfer the force to the pump shaft which went down the mine and so remove the water. Because of Savery’s existing patent, Newcomen was obliged to enter into partnership with him. The first operational Newcomen engine was built in 1712 near Dudley Castle, Staffordshire at the Coneygree Coal Works. The brass cylinder was 21 inches in diameter and 7 feet 10 inches high, and the engine made twelve strokes per minute, each stroke lifting 10 gallons (45 liters) through 51 yards (46 meters) perpendicularly. The boiler was a cylindrical copper tank with a domed top made of lead containing about 660 gallons (3,000 liters) of water. Able to work 24 hours a day with a power output of around 4KW, the engine proved to be a very useful tool for drainage of mines and raising water to power waterwheels. However this early steam engine was still very inefficient, using a lot of coal to create the steam. By 1733, when the patent expired, there were over 100 engines being used throughout the UK and abroad. Newcomen continued working on his engine for the rest of his life. It was eventually superseded by James Watt’s engine which had a separate condenser, patented in 1769. In 1705 Newcomen married Hannah Weymouth and they had two sons and a daughter. Thomas Newcomen died on August 5, 1729 in London, England. He was 65 years old. A full-size replica of his working steam engine is at Black Country Living Museum near Birmingham, UK.